I have a problem with my TL866 A.
I do not read the devices. If I try to update the software with the new version 6.85, when I run the patch (with the resistor on pin 35 as shown) I go into boot mode, but then tells me it can not flash. What can you depend on? It seems you have a short in the GND20 Pin. Thanks James38, I revovd and checked Q7, it was good, the problem was the resistance R26 that was open. Now the error No. 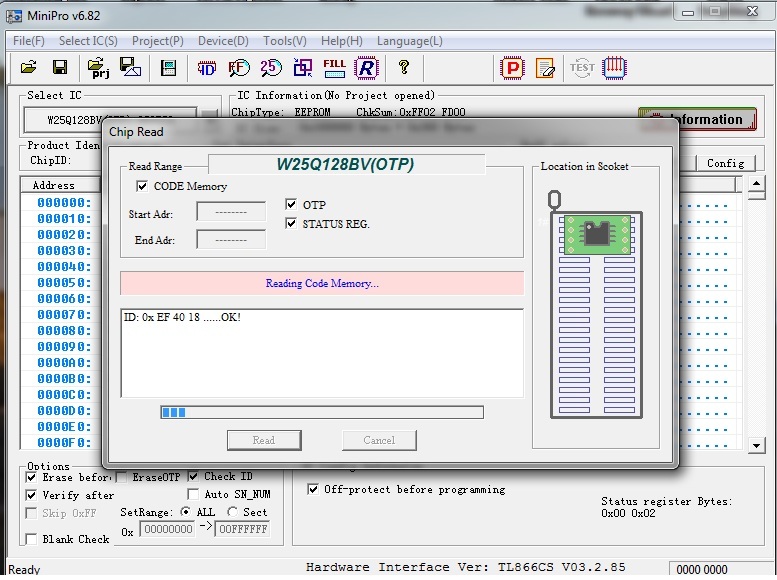 25 no longer appears, unfortunately if I read an eeprom I always see the values shown in the figure "read error", and if I write it remains the problem that I had even before you see file "write error". Try another 24C02, or 24XX . I saw that even without any eeprom if I make a reading the programmer always shows me the same data. After saving my original TL866A (thank you radioman) and a 100 ohm resistor (thank you Georg Simon), now using the programmer again, I was remembered of some lacks and misshaped concepts of the enclosed software. this is a consequence of point 1. I need to copy a PIC16C54(C), i'm struggling with it and i don't have any experience with PIC programing. Can anyone please check if it can be copied to a new one? I finally managed to solve the problem of not reading and writing EEPROM. I have re-programmed the TL866 by performing the indicated procedure and using the PICKIT2 but nothing to do. After several attempts, I remembered a post in which another user said he had problems with his TL866 and for this he had returned to use version 6.71 of the program. I reloaded the 6.71 and the programmer resumed working properly by reading and writing the EEPROM correctly. what mean this pic !!!! I dont know exactly what you want to know? when you have load the Firmware dumper. Only use clone serialnumber if there are zerofilled. It also tells you that at this momet if somethings goes wrong you can brick your device (power lost or someting else). Normaly you will use only the Write Button in the Bootloader Section. All the others are additional methods that should only be used in some situations. Be sure you have the latest firmware updater from radioman. This one will generate compliant serial numbers. When you are in the advanced section go to edit. A new window comes up with two buttons called random. Use the random button under serial and generate a new one. It seems something you're doing wrong here. 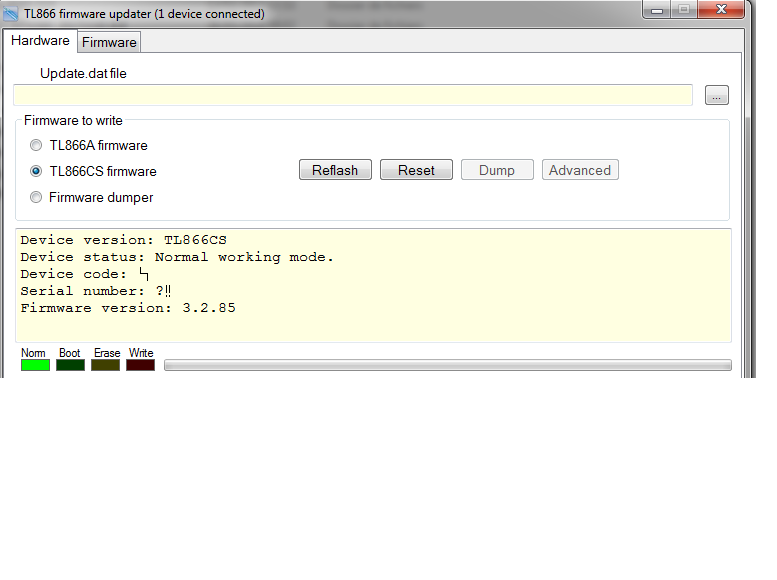 > 2.Select the firmware dumper and click reflash. > 4.Now pay attention: if the copy protection checkbox is unchecked please check this and click write button. > If the copy protection checkbox is checked leave it alone. > This is important if you leave the copy protect bit unchecked then the new firmware will disable the bootmode, so beware! > 5.Serial number and device code section. > Just click the write button in the serial number section. This will rewrite the same serial with the correct checksum. > This was a flaw in my reencrypted serial. A single byte checksum was wrong and the autoelectric discovered this after five years! good. I like this. > 6.Close the advanced window, check the TL866A firmware and click reflash again. > Now the new firmware is ready. In Step 5 you must generate a new Serial. Have a look on the device code. This must be also filled. If not generate a new one too. Dont forget to click the Write button under this section! If you dont do this no new serial will be written to the programmer. I know there are several write buttons but the only important Button is the Write button under the Serial number and device code section. When you still have no results please tell us exactly what you do so we can see where the mistake is. I believe you are running an outdated version of the firmware updater (tl866.exe). EDIT: It seems that the post which james38 aready linked to above contains the same (newer) tl866.exe. How did you end up with the 2015 version? Please be sure to follow the provided instructions carefully. There is a download button on the top right of the window. Its a drop down Button as PaoBPZ said. 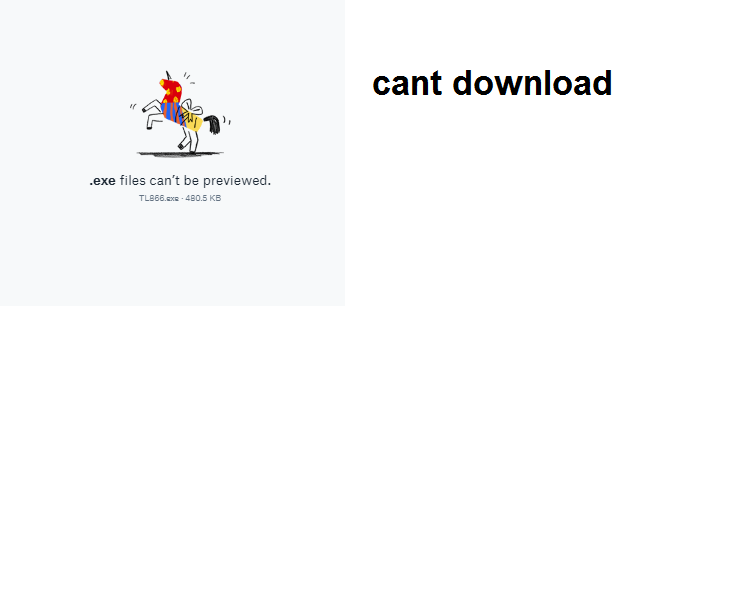 You will then get a Zip-File for download. When you start tl866.exe pay attention that the title of the windowbox has the Version V2.5. As far as I know this was the latest version from radioman. Only this version works to generate compliant serial numbers. and can i update to version 6.85 safety now ?? What do you mean with serial ?!! There should be only to see valid alphanumeric numbers (A-Z 0-9) not signs like ?!! When you start the tl866 what do you see on the botom section. Device status: Normal working mode. What do you see under "Device code" and "Serial number"? When you go to Firmware Section (click the Tab -> Firmware) and then press "Clone" what do you see here? Its not normal but it seems you dont generated a new Serial number isn't it? As you have proceeded the flash process do you registered that the fields in device code and serialnumer are filled with valid values? If not you now have a correct checksum but with an serialnumber wich contains confused signs somehow. It woulde be very helpfull for us when you could tell us step by step what you have done. In this case i dont know why you have not a valid number there. Maybe you missed a step somewhere. If you dont generate a new serial number the updater takes the old one. When this one is garbage you have also a garbage number. The V6.85 is ok. I have them running without problems. I dont see any alphanumeric in serial number just this symbols : ?!! And if any one can creer a video tutorial for this steps to help us ? I mean the tl866.exe you have downloaded (Firmwareupdater v2.5). And please answer the questions I wrote. 1.) What do you see under "Device code" and "Serial number"? 2.) When you go to Firmware Section (click the Tab -> Firmware) and then press "Clone" what do you see here? 3.) As you have proceeded the flash process do you registered that the fields in device code and serialnumer are filled with valid values? If you don't generate a new serial number the updater takes the old one. When this one is garbage you have also a garbage number. Please try again the flash process to change the serial number an then pay attention if device code and serial number is shown. If NOT or you see other values than alphanumeric in this case GENERATE NEW ONE with the Random button.